The city’s new temporary exhibition space is located in a disused paper storage facility next to Copenhagen Street Food market. The large art space is dedicated to installation art. Tue-Sun 11:00-18:00, Thu 11:00-21:00. Admission (except Tue 11:00-13:00). Trangravsvej 10-12. Walk across the bridge from Nyhavn Canal. Info here. The three-storey art space hosts changing exhibitions. There are two entrances, one from Strædet and one from Gammel Strand. Address: Gammel Strand 48. Admission. Tue-Sun 11:00-17:00. Wed 11:00-20:00. Info here. A converted heritage church lends its space to an art centre that features changing contemporary exhibitions and festivals. Admission. Tue-Fri 12:00-16:00, Sat-Sun 11:00-17:00. Address: Nikolaj Plads 10. Info here. Located by the canalside, this two-storey art centre features contemporary installation art and projects, often by lesser-known names. Address: Overgaden Neden Vandet 17. Admission. Tue-Sun 13:00-17:00, Thu 13:00-20:00. Info here. A leading gallery in the Copenhagen art scene, located in the meatpacking district. The gallery is dedicated to the visual arts and represents a number of major international names. Free admission. Address: Flæsketorvet 85A. Tue-Fri 13:00-18:00, Sat 12:00-16:00. Info here. The photographic centre located in the meatpacking district hosts changing exhibitions. Admission. Address: Staldgade 16. Tue, Wed, Fri 12:00-18:00, Thu 12:00-20:00, Sat-Sun 12:00-16:00. Info (in Danish) here. Gallery art space in the meatpacking district dedicated to local names and some of the more offbeat genres of contemporary visual art. Address: Flæsketorvet 77-79. Free admission. Tue-Fri 12:00-17:00, Sat 12:00-16:00. Info here. The world’s first mooning gallery. Dedicated to analogue portraits of people mooning, with a cut of sales going to charity. Soft opening until the grand opening of the gallery in September. Until 5 August by appointment only. Free admission. Address: Ryesgade 103B. Facebook info here. Website here. 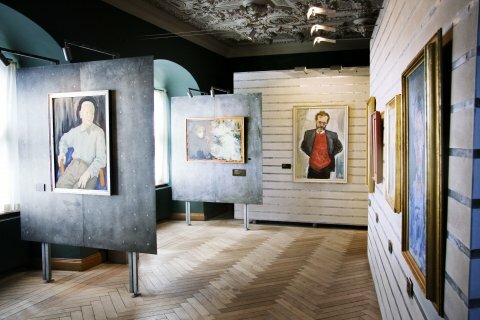 The academy art centre located by Nyhavn Canal features changing exhibitions, events and art fairs. Tue-Fri 12:00-20:00, Sat-Sun 11:00-17:00. Info here. A venue for experimental music and sound art, located in a former church in the Nørrebro district. Admission. Address: Blågårds Plads 6A. Event info here. Located across from Østerport Station, the pavilion art space hosts changing exhibitions and has a small outdoor café. Admission. Address: Oslo Plads 1. Tue-Fri 12:00-18:00, Thu 12:00-21:00, Sat-Sun 12:00-18:00. Info here. An institution in the Copenhagen gallery market, the art space is dedicated to visual arts, often major names. Located in the northern docklands. Free admission. Address: Corkgade 6. Tue-Fri 12:00-17:00. Info here. With extensive gallery space in Copenhagen and Beijing, the foundation is the city’s leading private art centre. The gallery features changing exhibitions by major names. Located in the northern docklands. Info here.